This recipe is my favorite. I prefer this soup among all the other soups. Simple, healthy and very tasty. Clears the throat completely thus very good for cold. 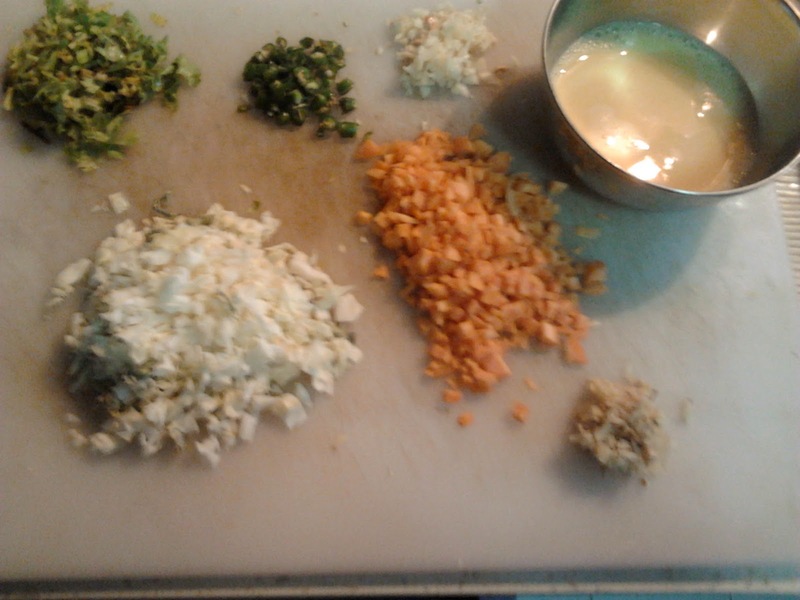 Can use any vegetables like carrot, cabbage, beans, mushroom etc. Adding chicken and egg is optional. Can have it without adding fried noodles. 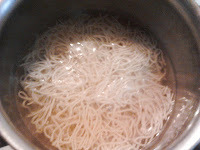 But becomes cruncy and nice on adding fried noodles. Step 2 and 3 is optional. Chop the chicken into small pieces and boil it in a cooker adding 2 cup water and little salt. Wait for 2-3 whistles. Switch off the stove and open when it cools. This forms Chicken stock. 3. Drain water from it and allow it to cool. 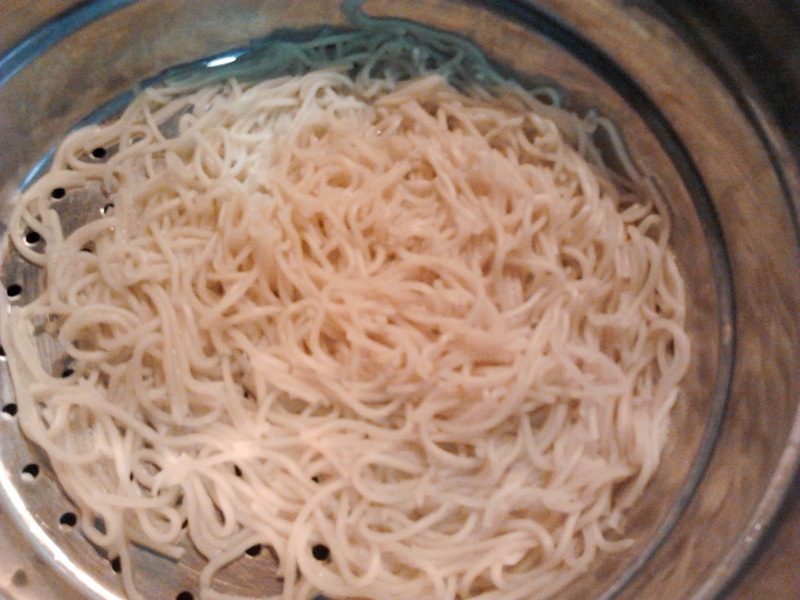 On cooling take a pan with oil for frying and fry the boiled noodles. 5. When it starts to boil add corn flour dissolved in water, salt and coriander leaves. 6. Switch off the stove. 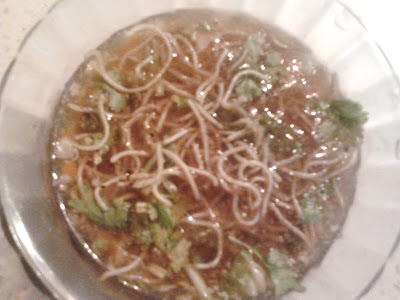 Take a soup bowl and pour some soup into it and put the fried noodles on top of it and enjoy the taste.